Executive Jobs in GSR Business Services | Walkin Drive in Chennai From 31st July to 2nd August 2017. GSR is hiring graduate candidates for Front Executive positions. Having 0 – 3 Years experience in any field will be an added advantage. Candidates must have the ability to handle incoming & outgoing calls. Who are going to appear for the GSR Business Services Walkin drive can refer GSR Syllabus and GSR Previous Question Papers. Job seekers have to prepare well for the Interview Process so for the sake of the candidates we are providing the GSR Business Services Mock Test Papers on our website All India Jobs. Interested people are suggested to bookmark this page for regular fast updates. Contenders have to take care of the day to day admin activities of the Organization. Have to maintain courier records Inward & Outward Register. The GSR Business Services Selection Process will be finalized based on the performance of the candidates in the selection process. Qualified and interested people can attend for the GSR Business Services walkin Recruitment in Chennai. GSR is hiring Front Executive. Total years of experience: 0 – 3 years. Relevant Experience: Freshers can also apply. Handling incoming & outgoing calls. Maintaining courier records Inward & Outward Register. Taking Care of Attendance, Timekeeping and maintaining registers. Arranging access to biometric ID card for a new employee (attendance, canteen & floor Access). Taking care of the day to day admin activities of the Organization where necessary. Maintaining proper checklist related to housekeeping activities to ensure up keep of the facility in coordination with Admin officer. Managing and assisting basic arrangement for client visit, Meeting, and Internal Meeting arrangements. Preparing purchase request order and getting approval, maintaining an inventory of stationery, Medicines and maintain the record of the same. Taking care of the pantry in coordination with Admin officer. Looking after the travel desk of the company with respect to ticket booking (Air, Rail, and Road). Handling Reception Guest and Visitors. Coordination with housekeeping staff, drivers & Security. Procurement and Inventory management. Managing day to day purchases of office requirements. All filing work drafting letters, Coordination with all departments, Any other work assigned by the functional heads. GSR is a high growth IT Services Organization that is at its cusp of its growth path. 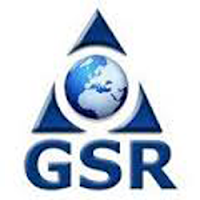 Started in 1992, GSR is established both in the United States and in India, with offices in California, Texas, Chennai, Bangalore and New Delhi. At GSR, We build and deliver Productivity and Business Applications for the Mobile First – Cloud First World that provides our clients with the information and systems they need to effectively operate and grow their business. Enabling clients to be at the bleeding edge of technology and to realize their full potential is what we pride ourselves with. Our employees not only work on the latest and emerging technologies but also are passionate about seeing how technology has changed the way the world works. GSRs core strength is the strong team of technical experts who have an opportunity to continually learn every day by working on most technically challenging assignments. GSR Business Services is conducting walkin drive for Graduate Freshers. Who had completed graduation they can attend for the Recruitment drive in Chennai from 31st July to 2nd August 2017. We have provided the complete details about GSR Business Services job openings 2017. Thoraipakkam, Chennai 600 097, India. 1 Hard copy of your updated resume.